The new Lymington RS Aero fleet is quickly gathering momentum with the 18th boat being delivered this week out of the 24 ordered in total. 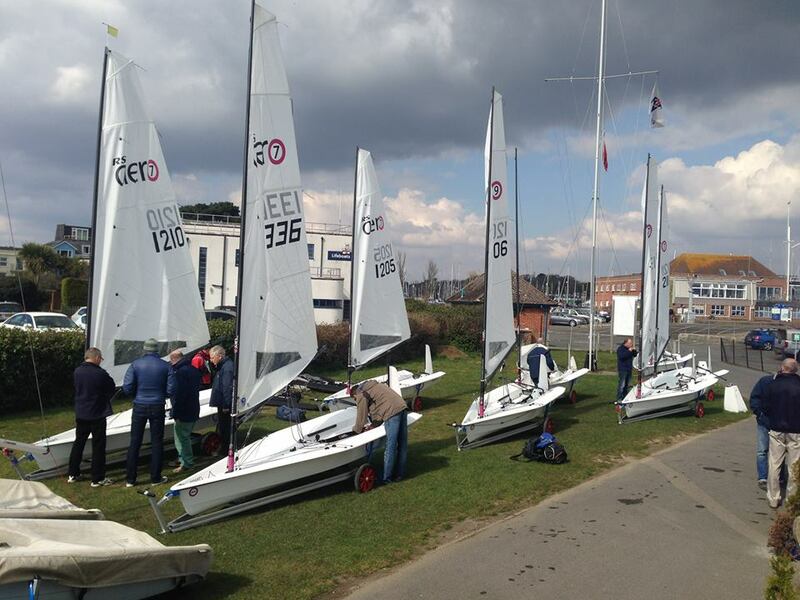 Lift-Off days have been very successful at a number of locations where new fleets have established over the winter and it was timely to arrange one for the new Lymington fleet. The Lift-Off days provide an induction, coaching and racing to be sure everyone reaps the most out of there new toys. Demo boats are made available allowing people to both have an initial try-out and those awaiting their deliveries to get involved in advance. A quick check with the fleet indicated that the Wednesday was more popular than a weekend day so we agreed to meet at 1pm on the club lawn. 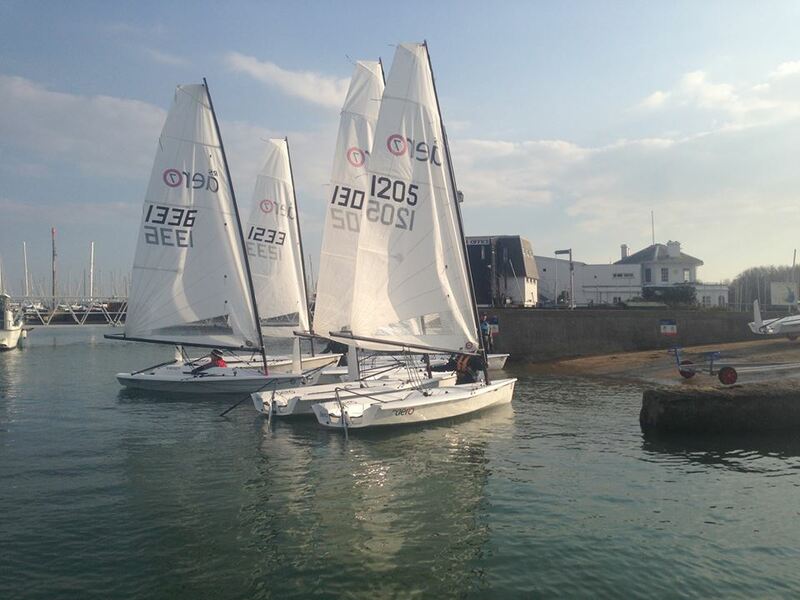 13 sailors eagerly rolled up for the ‘cheeky mid-weeker’ and we opted to take just 9 boats with those manning the ribs able to swap in for half the session. 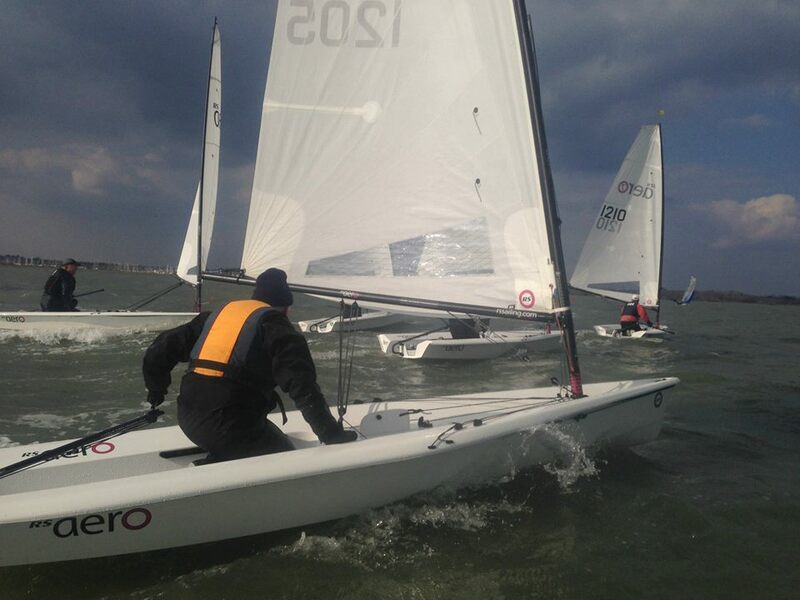 A speedy rig was followed by a run through of rigging, tuning, technique, maintenance and recovery with some focus on how the RS Aero with its super light 30kg epoxy/carbon hull and carbon mast may differ from similar tradition classes in both handling and response. At 1pm there was not a breath of wind, but a good prospect of it. As we rigged the breeze piped up which, together with the adverse tide, looked like it could all become a bit perky. However, it actually turned out perfect with a 12kn wind against the strong ebb tide creating enough excitement and a small chop without becoming overly testing. The bonus was the tide’s conveyor ride to the windward mark with long down-winds against the tide. We were even blessed with some sunshine! 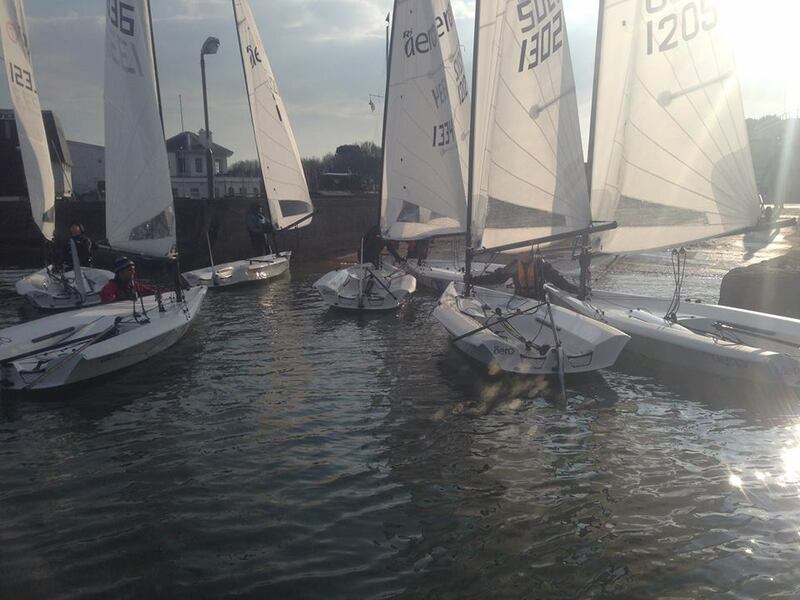 A short triangle-sausage course was laid with new 3-minute warnings blown as the last boat finished. In all, we crammed in 5 short races with 11 laps in total. Improvement was very evident following the briefing and progressively throughout the races. 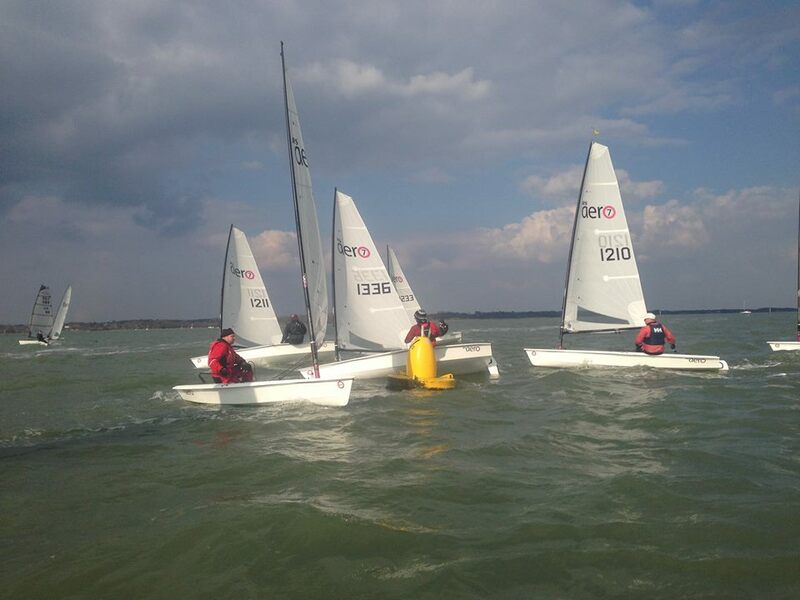 Several competitors practiced their capsize drills without issue, recovering via either amidships or the transom as they preferred. After a quick de-rig and change we relocated to the pub for a de-brief. The short sharp racing with coached input was fantastic fun. With such enthusiasm and easy resource we will be sure to run more similar days in the future allowing those who could not make it or are waiting for their boats to arrive to take part. Happy days! 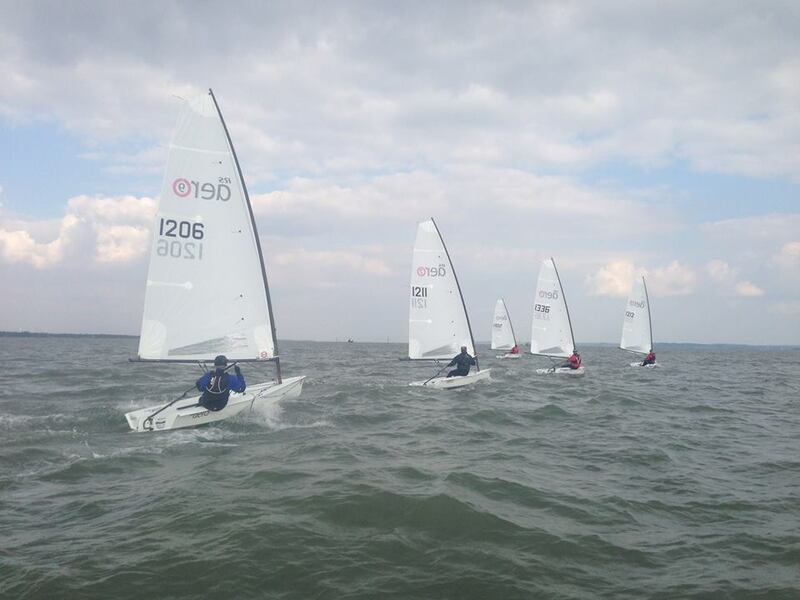 Lymington Town SC are hosts to Round 2 of the UK Series on 13/14th June and with the 24 boat home fleet a good turnout is assured. Next up on the RS Aero calendar is our Reading SC open meeting this Saturday 28th.